CHICHESTER RFC could secure their London One South status for another campaign with a positive result against Cobham at Oaklands Park tomorrow (2.30pm). Blues have had a topsy-turvy campaign, struggling to find consistency, which has left them in the bottom half of the standings with just three games to play. 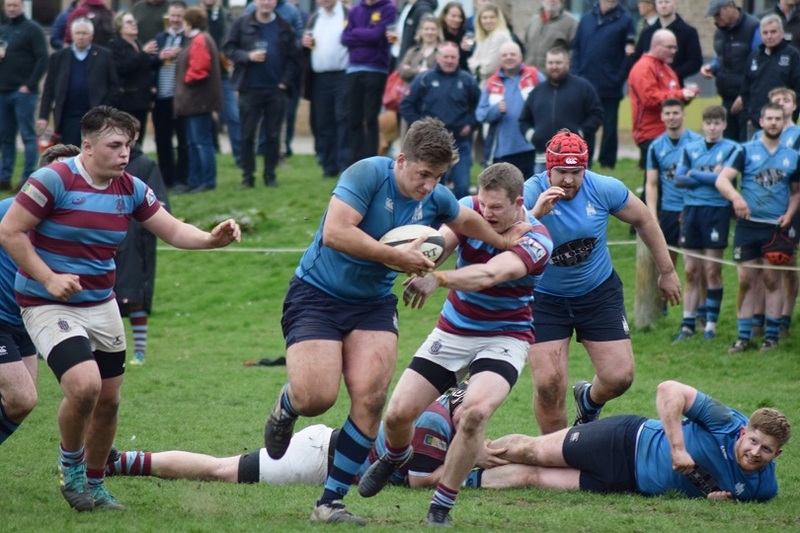 A bonus point victory against bottom-side Hove last weekend helped drag Chi up to eighth in the table, 14 points above Tottonians, who are third-bottom. Another win tomorrow against a Cobham side who are 11th and have lost their last four will guarantee their league status for another season. Having picked up three wins in their last five, Blues will head into the match in front of their home crowd as warm favourites, with the belief that they can even break into the top half as the season draws to a close. The victory at Hove was built on a strong forwards display. Despite falling behind to an early try, scores from Josh Cameron and Tom Blewitt put Blues in control. They did not let up, with the returning Chris Johnson adding a third after crunching through a number of tackles. Callum Cone wrapped up the bonus point after a dart down by the blindside before Ed Bowden broke from his own half to put Chi 31-5 up at the break. Into the second period and the hosts started strongly once again, scoring their second try after a period of sustained pressure. Blues responded with Rhys Thompson finding a gap in the Hove defence before Baz Magda rounded off the scoring.